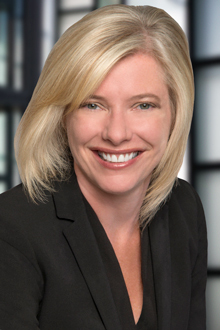 Chicago, Ill. (February 1, 2019) – Chicago Partner Mary Smigielski was recently quoted in an article published by DataGuidance about the Illinois Supreme Court’s unanimous decision in Rosenbach v. Six Flags Entertainment Corporation, et al., which significantly lowers the bar for plaintiffs to bring class actions under the Biometric Information Privacy Act (BIPA). Ms. Smigielski and Chicago Associate Daniel Cetina analyzed the decision in a client alert issued on January 25. "The [Rosenbach] Decision changes the landscape of BIPA litigation. With this ruling, a mere technical violation of BIPA is sufficient to have a right of action under the same,” Ms. Smigielski told DataGuidance. “For example, an employee who used a biometric time clock to punch in and out of work may have had their finger scanned by the clock and their fingerprint stored for moments before the information was converted into an algorithm that cannot be reverse-engineered. The information was secure, and the employee suffered no harm. Nonetheless, if their employer did not obtain consent under BIPA, the employee may now obtain damages." Ms. Smigielski is a member of Lewis Brisbois’ Labor & Employment Practice and handles class-action and single-plaintiff employment litigation, administrative charges, nationwide counseling, training, and sensitive workplace investigations, including at the C-Suite level. She frequently gives presentations on wage and hour class actions, labor & employment, and other related topics.